Russian born Mikhail Mordvinov showed an extraordinary level of ability at a very early age and was accepted into Moscow ’s renowned Gnessin School of Music at age 6 where he studied under Tatiana Zelikman. He continued his later studies under Professor Vladimir Tropp and graduated with the highest honours. 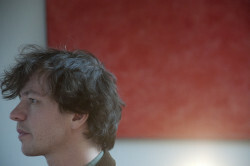 He then enrolled at Hanover ’s University of Music and Drama as a student of Professor Bernd Goetzke. He was first propelled onto the international stage when he won the 12th Robert Schumann Competition in Zwickau (1996) and the 6th Schubert Competition in Dortmund (1997). Having garnered an international reputation he went on to sign a recording contract in 1998, playing works by Schubert and Rachmaninoff. 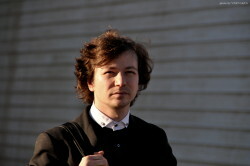 Mordvinov has since been invited to perform at some of the world’s major concert venues including the Konzerthaus and Philharmonie Berlin, Philharmonie im Gasteig Munich, Minato Mirai Hall in Yokohama, the Great, Small and Rachmaninov Halls of the Moscow Conservatory, Moscow Tchaikovsky Concert Hall, Meistersingerhalle Nurnberg and the Kumho Art Center and Sejong Art Center in Seoul. His busy touring schedule takes him to many countries including Germany, Austria, Italy, United States, Spain, UK, Japan, Netherlands, Korea, France, Norway, Finland, Greece and Syria. Recent seasons have seen Mordvinov performing a Schumann concerto with conductor Theodor Currentzis and the Munich Philharmonic Orchestra in Gasteig Munich and Meistersingerhalle Nürnberg. He also gave solo recitals and chamber performances at the Berlin Konzerthaus and the Moscow Conservatory and has collaborated in appearances with soprano Simone Kermes. In past years he has participated in the Berlin International Music Festival, Braunschweig Classix Festival, Athens Festival, Festival Aix-en-Provence, Festivals Ars Longa, Homecoming and Art November in Moscow, Diaghilev Festival in Perm and the Chopin Festival in Paris. He has also taken part in contemporary music festivals such as ‘Blurred Edges’ in Hamburg and ‘Songs Unlimited’ in Collegium Hungaricum, Berlin. He has been working with conductors such as Yuri Simonov, Damian Iorio, Welisar Gentschew, Teodor Currentzis. Karen Kornienko, Vladimir Ponkin, Pavel Sorokin and Dmitry Vassiliev. His recitals have seen him perform with the Munich Philharmonic, Berlin Konzerthaus Orchester, Moscow Symphony, Moscow Philharmonic, Minneapolis Symphony, Gottinger Symphony, Zwickau Symphony and MusicAeterna. In 2000, Mordvinov became a soloist at the Moscow State Academy Philharmonic and in 2004 was invited to become an assistant Professor at the Gnessin Academy of Music where he worked until 2010. His performing style shows great affinity with the romantic school of the piano masters of the first half of the 19th Century. His repertoire consists mainly of works by the Viennese classic and romantic composers but also includes baroque and modern music with a particular emphasis on chamber music.